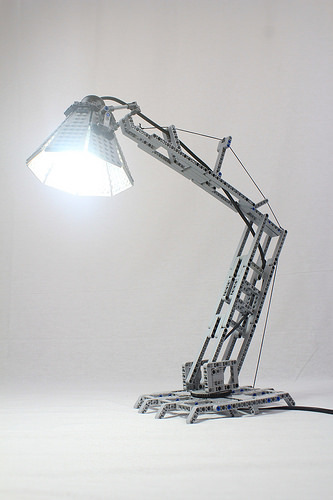 Technic LEGO has so many real world applications, something Alexis Dos Santos’s angle poise lamp proves brilliantly. It’s an idea which the Technic frame structure realises so well, with the holed beams giving the feel of a high-end designer product. As an adult LEGO fan it’s something I could absolutely see on my desk at work. I just have to hope that Alexis has chosen a suitably low heat bulb and that his bright idea doesn’t end up as a puddle of plastic.